The right grilling accessories can make barbecuing go more smoothly, allowing more time to socialize with family and friends. From meat thermometers to spatulas, accessories can make the difference in having a successful grilling experience. So if you plan on barbecuing this 4th of July or on any other special occasion, check out some of these new tools for the grill. 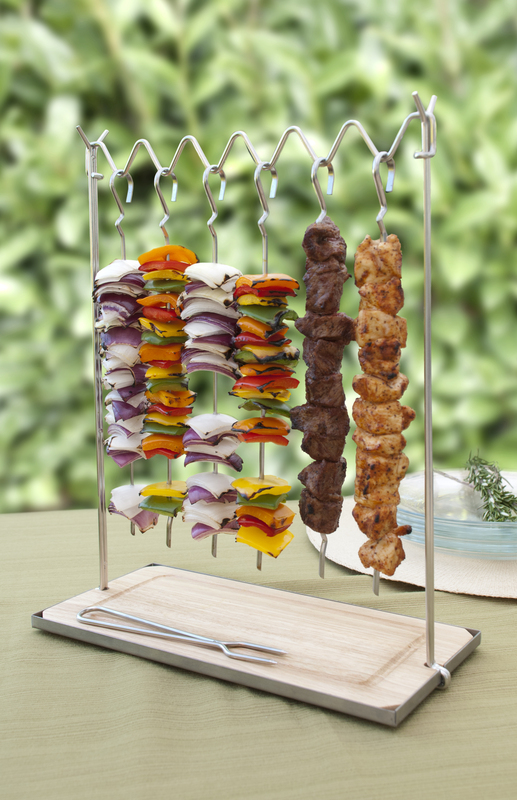 The Skewer Station by The Companion Group allows easy serving of grilled meats and vegetables. After hanging the skewers, guests can simply push the meat and or vegetables from the skewer with the included fork onto their plate underneath. Friends and families will have fun customizing their entrées with the Skewer Station. 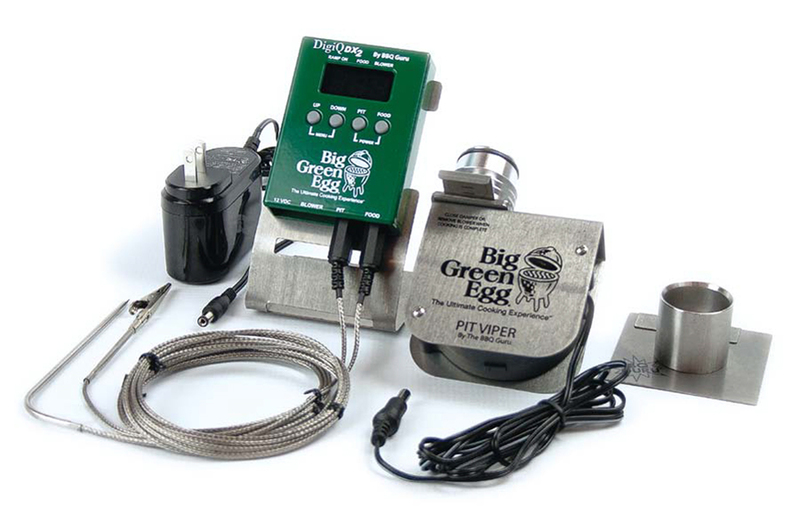 The Big Green Egg BBQ DigiQ temperature control system is designed to hold the devised temperature in one’s EGG for hours on end, and will even gradually lower the cooking temperature when done, so foods don’t become overcooked.